Can I order the sideboard with a different number of doors? Yes. An individual arrangement of drop-down and extension doors is possible. Is it possible to pass cables through the rear or side walls? Yes, cable holes are available. These are rectangular punched holes (63 x 48 mm) in the metal panels, with a protective plastic guard. The charge per cable hole is EUR 24.00 incl. VAT. To request cable holes please contact our USM Service Team with details of how many cable holes you would like and where they should be positioned. Do you have to turn the handles to open the doors? As standard we supply all USM Haller units with a simple handle which you just have to pull to open the door. If required special latch handles can be supplied which turn to close. Please contact our USM Service Team for more details. In 1961 the Swiss architect Fritz Haller created new production and administration building for USM at their base in Münsingen, and in 1963 he designed an accompanying office furniture system. 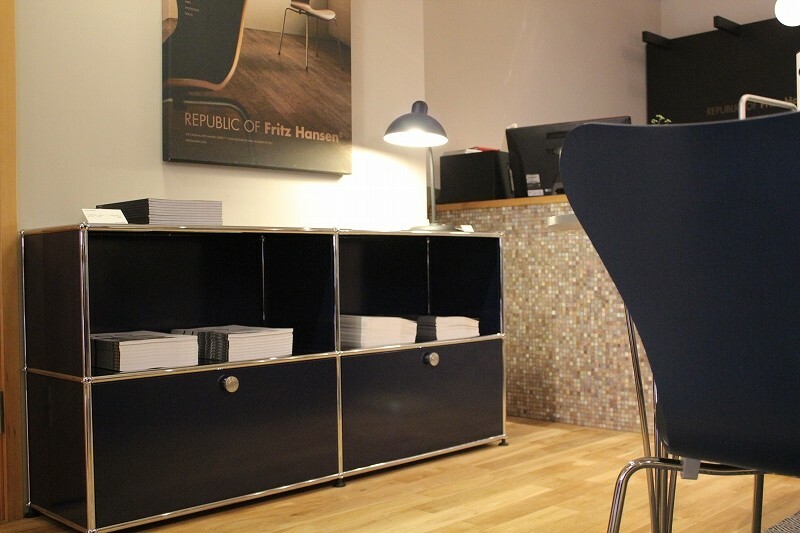 An office furniture system which has since gone on to become a global success. 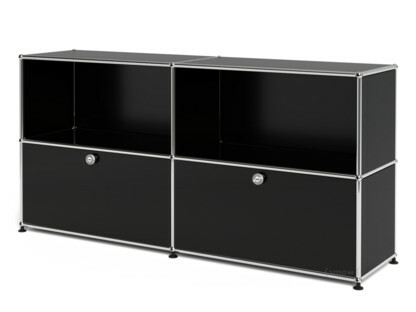 The start of series production of the USM Haller modular system was then in 1969 in context of a commission to furnishthe Rothschild Bank in Paris. 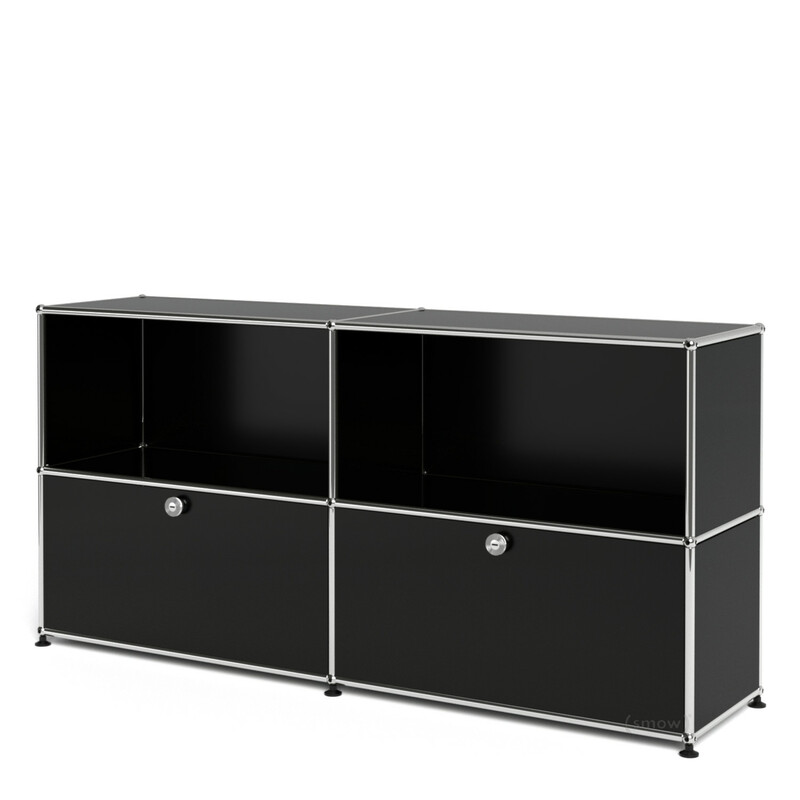 Following the premise that furnishings should be considered a flexible, variable component of a space rather than a static fixture, USM units can be individually planned and, when necessary, modified in shape, size and functionality to meet new requirements. 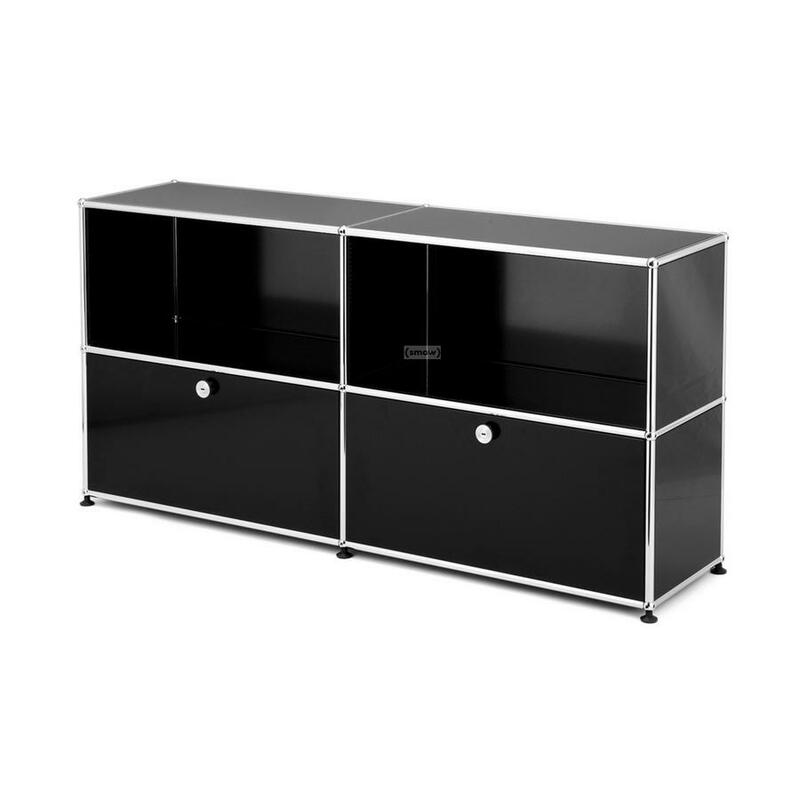 And so while, for example, a USM Haller sideboard L with 2 doors can be used as a classic filing cabinet, other uses are equally valid. For example, through the fact that USM Haller units can be used from both sides their use a room-divider is very popular. This fundamental modular flexibility of the USM Haller furniture is also reflected in Fritz Haller's architectural projects. All USM Haller units start life at the company's headquarters in Münsingen, Switzerland where the steel tubes for the structure, the brass connector balls and cladding glass and metal panels are produced. 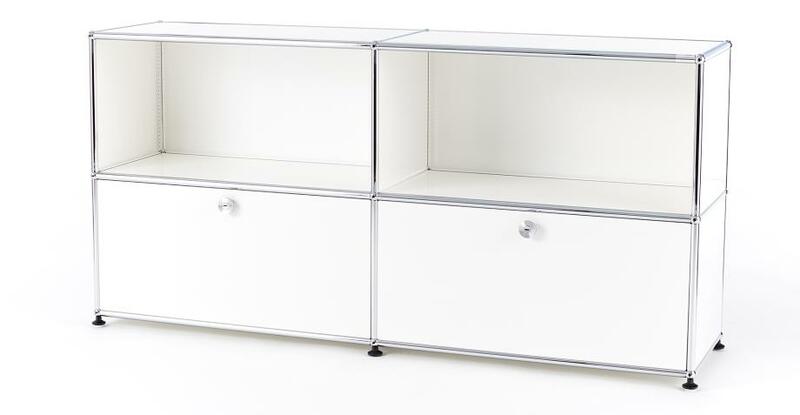 The latter are also powder coated in Münsingen in one of the 14 standard USM colours: in addition to the classic USM Haller white all units are available in 13 further colours. 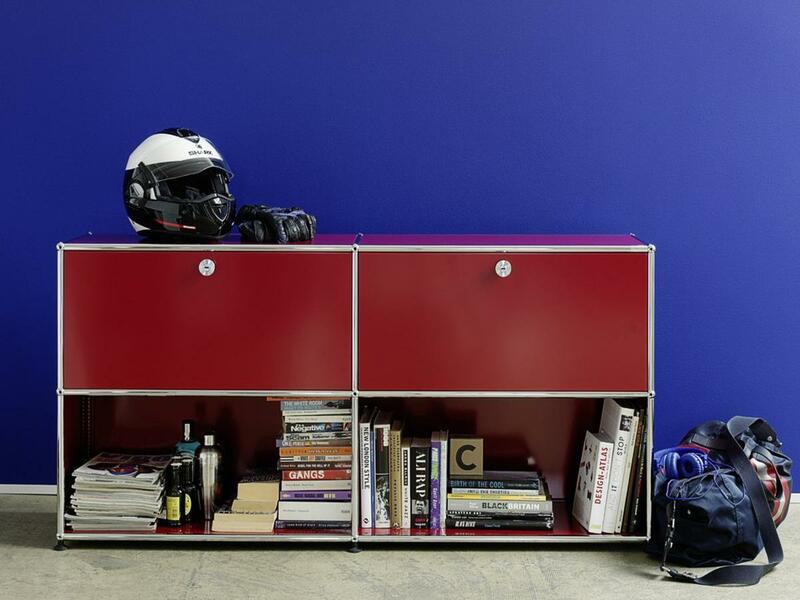 For larger order USM also offer units in any RAL colour. 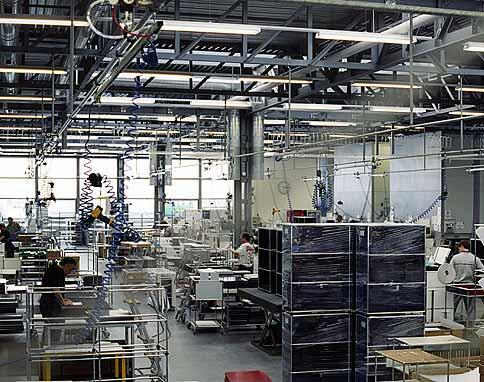 Units intende for the German market are shipped to the USM factory in Bühl, Baden-Württemberg for final assembly. USM Haller furniture is not only practical but also sustainability, thanks largely to the durability and longevity of the products. 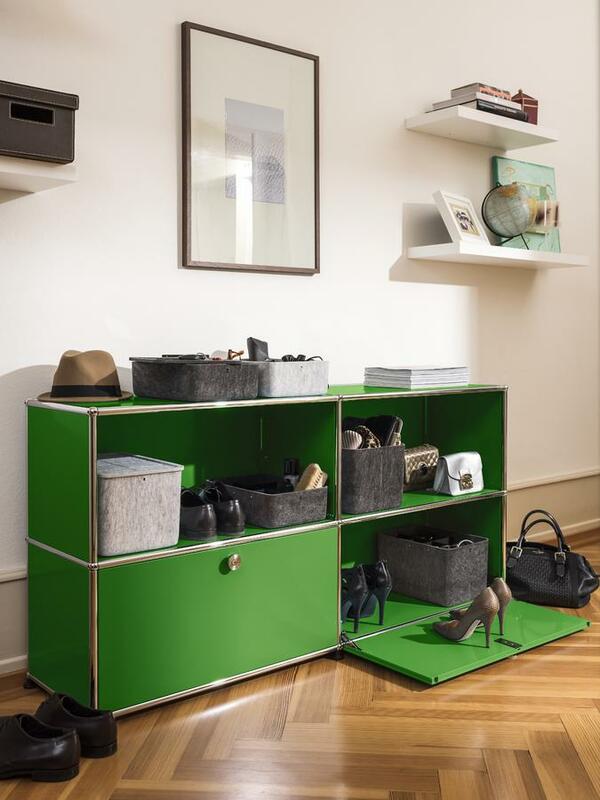 Thanks to the high quality materials used in the production of USM Haller units and the systems tremendous ability to adapt to changing conditions,theoretically there is never need to dispose or otherwise replace USM Haller furniture. Thus saving resources. Genius! 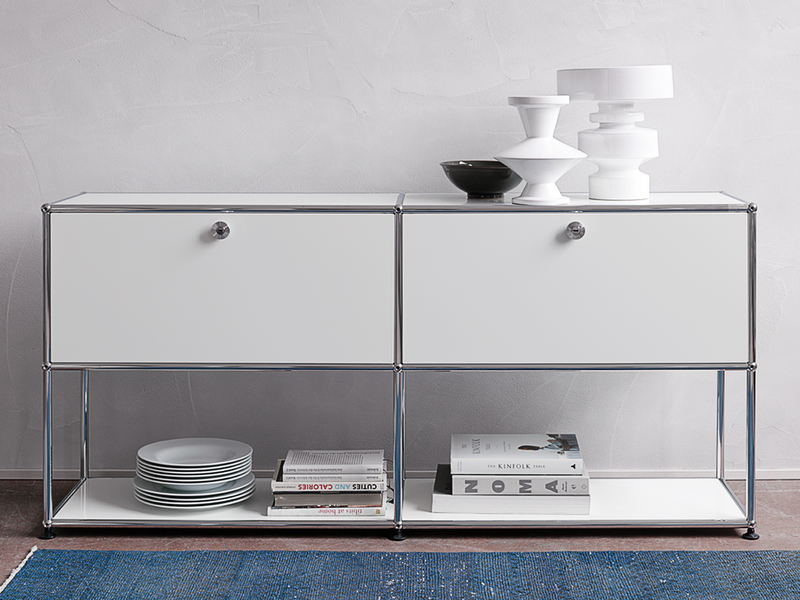 Designer of the USM sideboard is Fritz Haller. Born on October 23, 1924 in Solothurn, Switzerland, Haller designed numerous buildings, including schools, office buildings and production halls before in 1961 beginning his collaboration with USM. 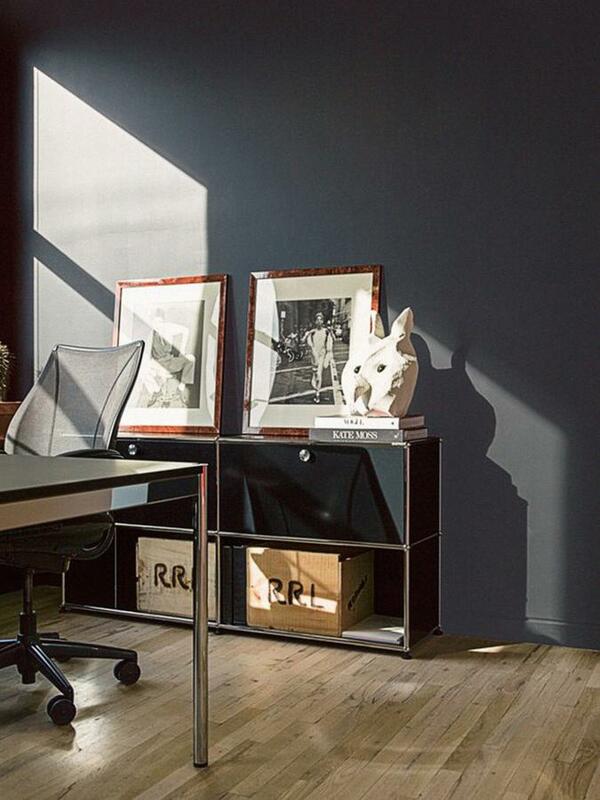 Asked by company owner Paul Schärer to plan and build new factory and office building, Fritz Haller also developed the USM Haller modular furniture system for use in the office. 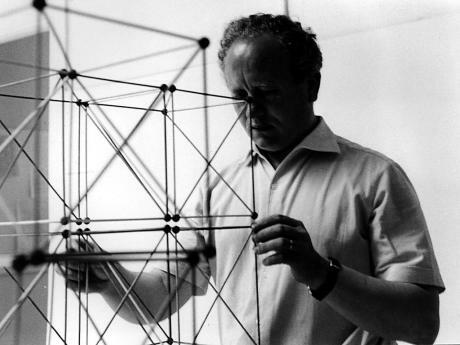 In addition to his architectural work, Fritz Haller held a full professorship at the Faculty of Architecture of the University of Karlsruhe, and an honorary professor at the University of Stuttgart and in 1993 received an honorary doctorate from the University of Dortmund. 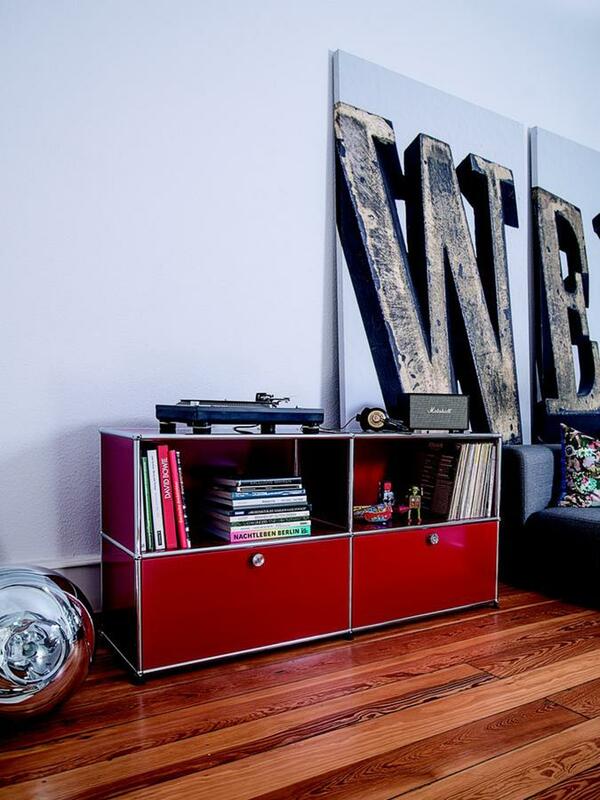 However, his greatest success experienced the USM Haller modular furniture system, an office furniture system which revolutionised the genre with its amazing functionality and timeless elegance. Fritz Haller died on October 15, 2012 in Switzerland. 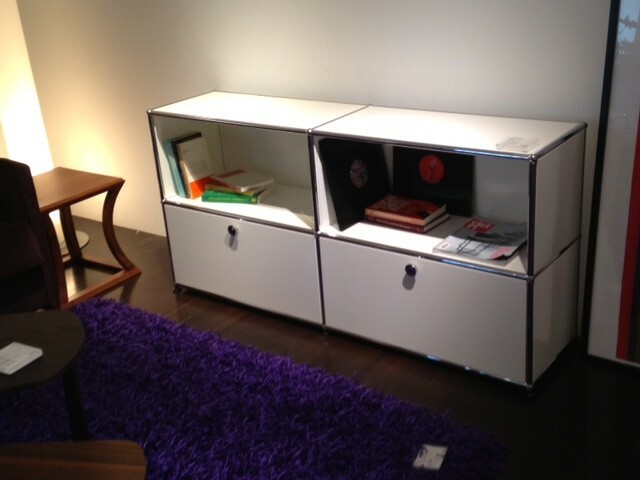 In context of design history Fritz Haller's furniture system is classified in functionalism. The guiding principle behind the USM System is that furniture can be adapted to meet the demands of their environment in their form. 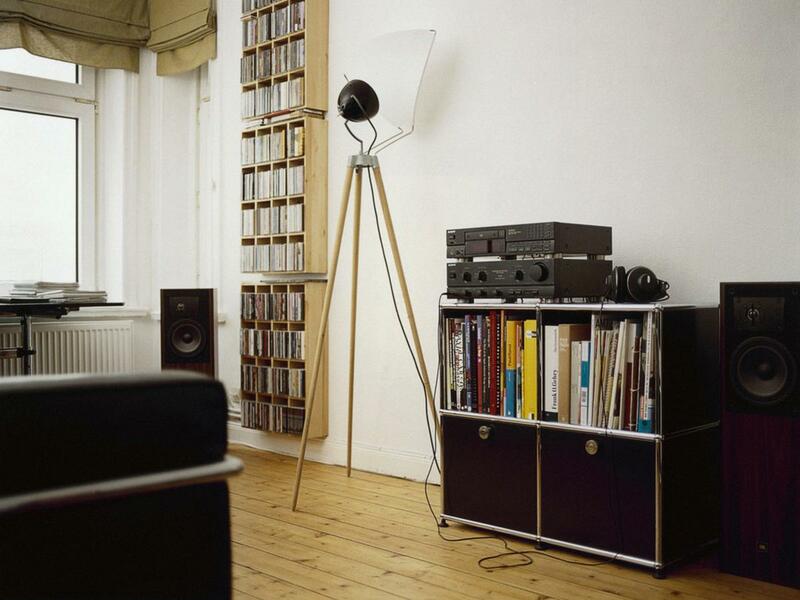 In addition the USM Haller system is very characteristic of functionalist designs in terms of their timelessness. 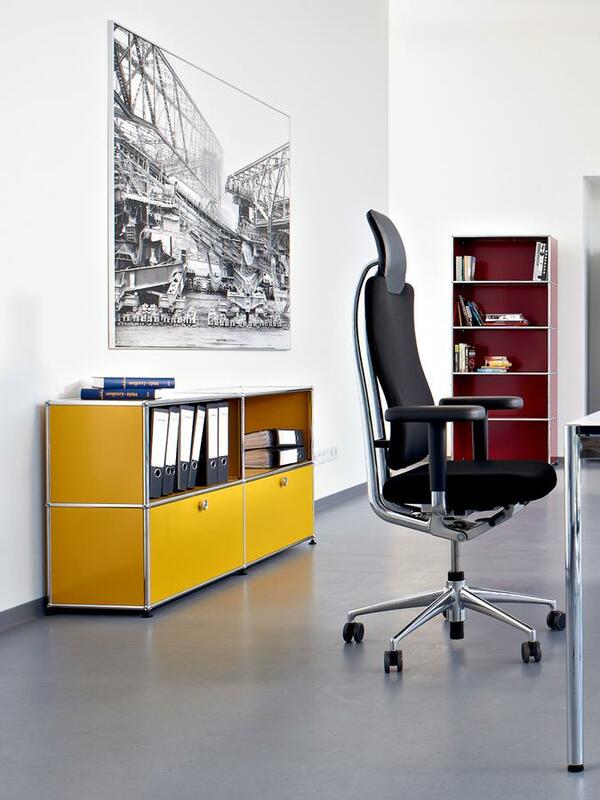 Through an uncompromising implementation of a style and an equally uncompromising rejection of passing trends, USM Haller is a genuine design classic which for the past fifty years has been just at home in the office as in domestic situations. 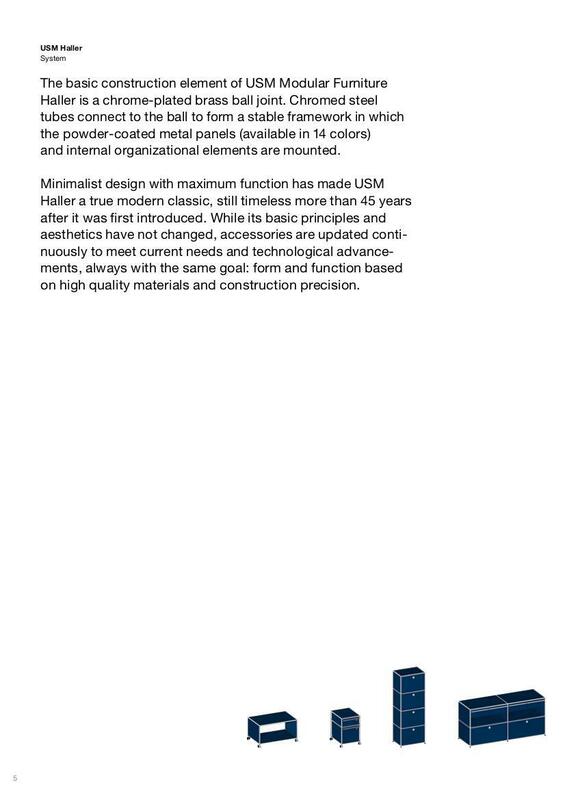 The origin of the USM Haller units goes back to the late 19th century. 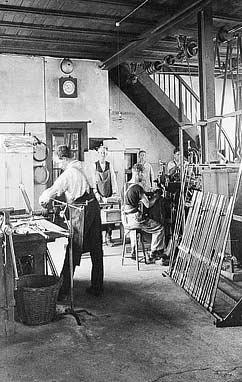 In 1885 Ulrich Schärer founded an ironmongery and locksmith business in the Swiss village of Münsingen near Bern. And some seventy years later from this small craft business arose one of the most innovative office furniture systems of the 20th century. Following the production of window fitting during the 1920 and of general metal fabrication post War in the 1960s local architect Fritz Haller was commissioned to build two new buildings for the company. And office furniture. Although originally created for the company's own use in 1969 USM started the mass-production of the USM Haller modular furniture system. 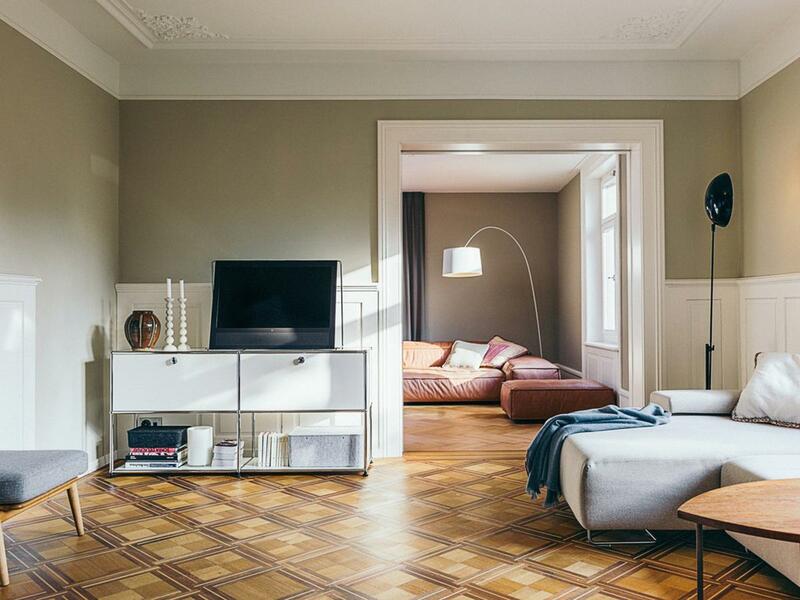 In 1992 the manufacture of window fittings was finally abandoned and since then the company have focused entirely on the development and distribution of the USM Haller furniture.